The Central Bank of Russia has unexpectedly raised its key interest rate to 7.5 percent, despite earlier saying it wouldn’t change until June. Aimed at trimming inflation, it means more expensive loans and slows an economy that’s already losing steam. The rate went up 50 basis points. The last time it was bumped up was in March to 7 percent, a 1.5 rise from the previous 5.5 percent rate. 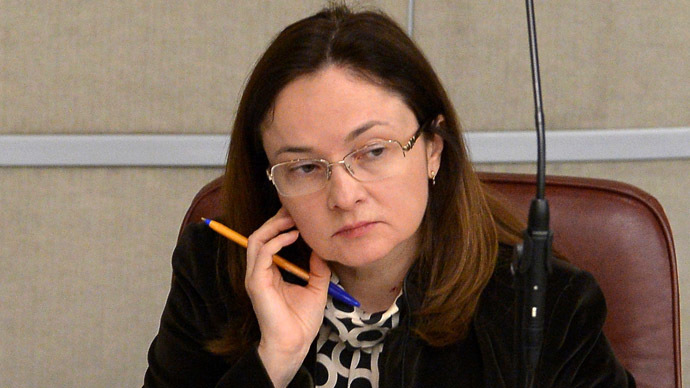 Bank Chair Elvira Nabiullina previously said the institution would refrain from changing rates until the June meeting. On its website the Bank gave a traditional explanation, saying the move will help keep the necessary balance between inflation and economic growth. “The adopted decision on the key rate would ensure a decline in inflation to no more than 6.0% by the end of 2014 and help to maintain the appropriate balance of inflation risks and the risks of further economic slowdown,” it said in a statement. The weakening ruble is another concern for Russia’s Central Bank. The ruble is the worst performing Emerging Markets currency and has lost over 8.5 percent against the dollar in 2014. On Friday the Bank set the ruble at 34.6830 against the dollar and 49.3175 against the euro. Combined the overall USD-EUR currency basket against the ruble was 42.1245. “Besides, weak economic activity in most countries which are Russia’s trading partners, restrains the economic growth of Russia,” it added. In February inflation was calculated at 5.6 percent, and by March it had accelerated to 6.0 percent, both well above the Bank’s target rate of 5 percent. The Bank said it doesn’t plan to cut rates again in the next few months. The CBR hopes to contain inflation below the target rate of 5 percent by the end of 2014, a task difficult under present “unfavorable market conditions” such as the slowing economy and weak ruble. 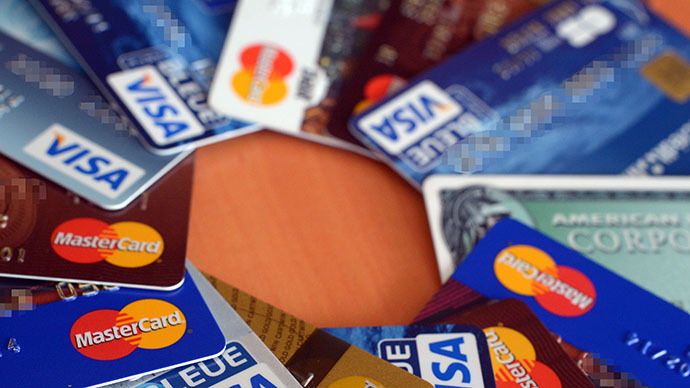 On April 21, the Central Bank calculated consumer prices has increased 7.2 percent, or about 0.2 percent per week. Political tension over Ukraine has dragged down economic forecasts for Russia. While the Finance Ministry expects Russia to grow 2.5 percent in 2014, the IMF has slashed its estimate to 1.3 percent citing geopolitical risks. (). Prime Minister Dmitry Medvedev said Russia faces ‘unprecedented’ (link) economic challenges. However, high oil prices continue to have a stabilizing effect on the domestic economy and state finances. Oil and gas export revenues account for more than half of the Russian budget. The Bank’s Board of Directors will next convene on June 16 and will again discuss interest rates. 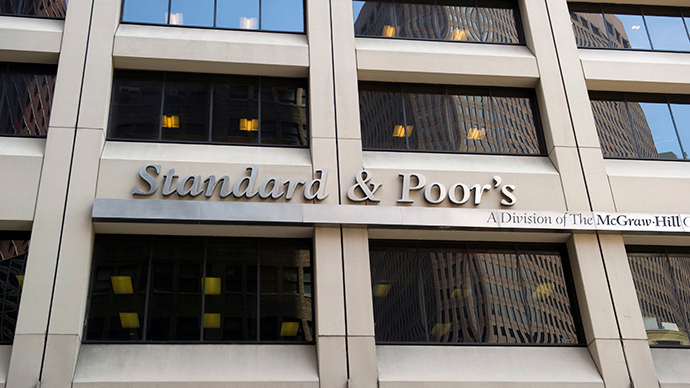 The decision came the same day Standard & Poor’s downgraded Russia’s credit rating for the first time in 5 years, bumping it down to near junk status. Economic Minister Alexei Ulyukayev said the move was "expected" yet "politically motivated."